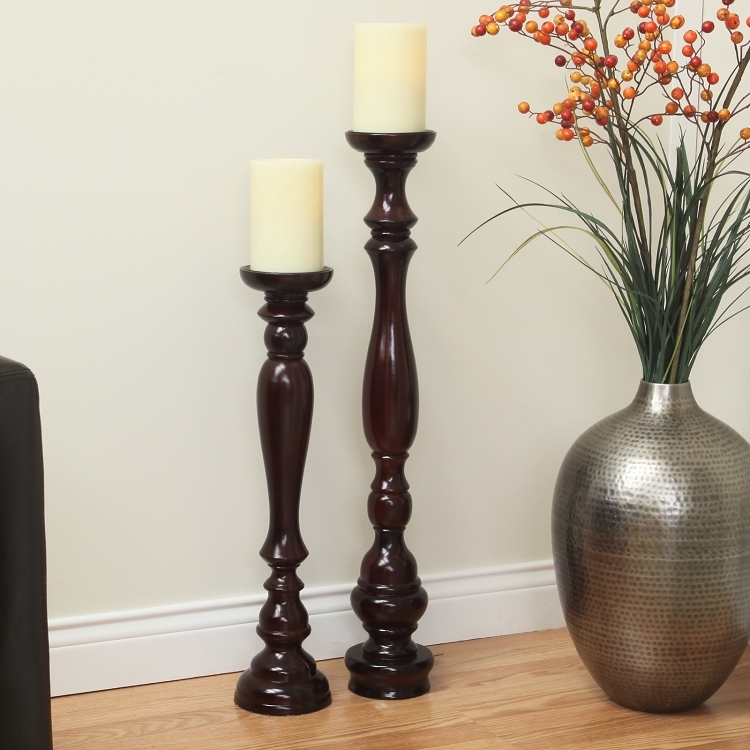 In a corner or on a table or mantle the Hartford Pillar Stand will artfully illuminate hard to reach spaces. 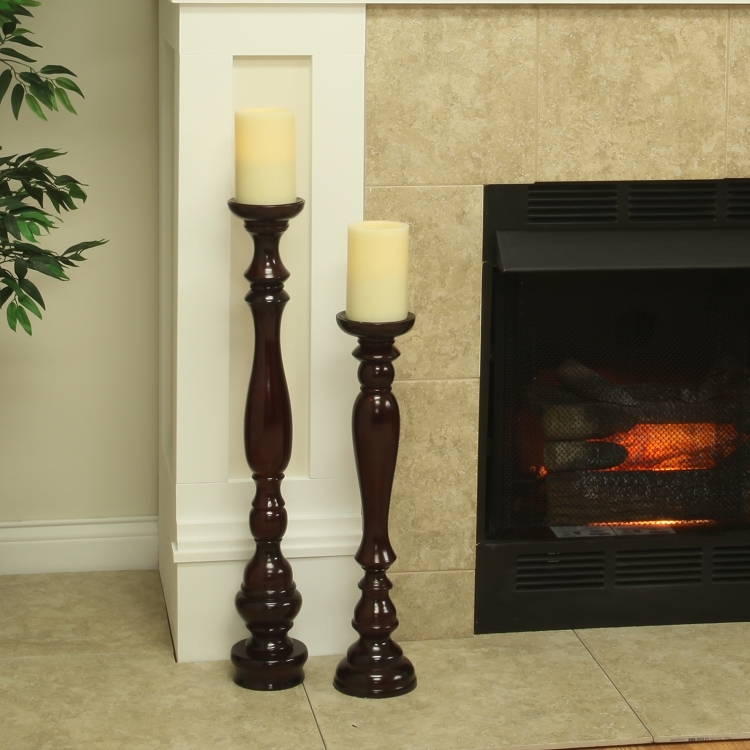 Made of durable MDF & wood, each generous pedestal resembles an antique turned spindle and holds an oversized flameless pillar candle (included). 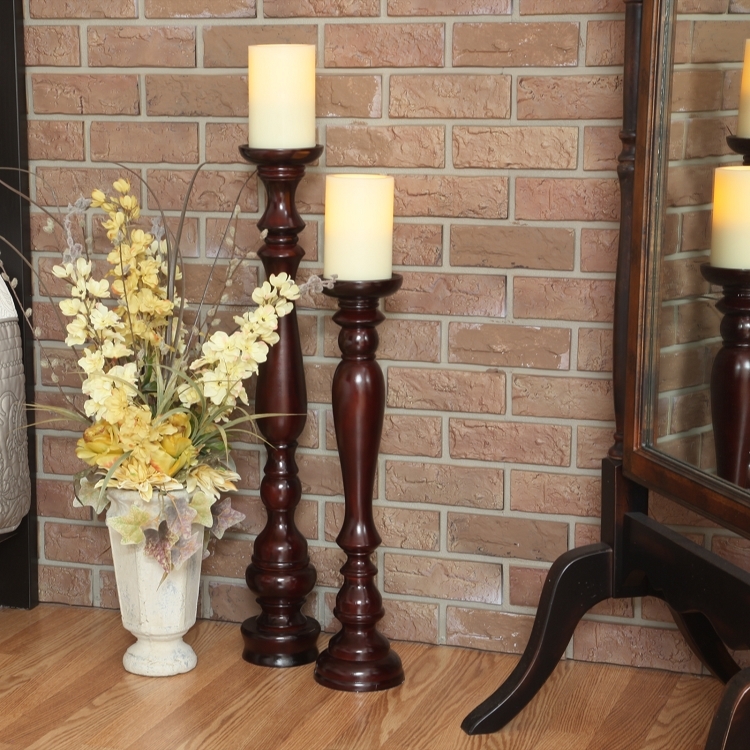 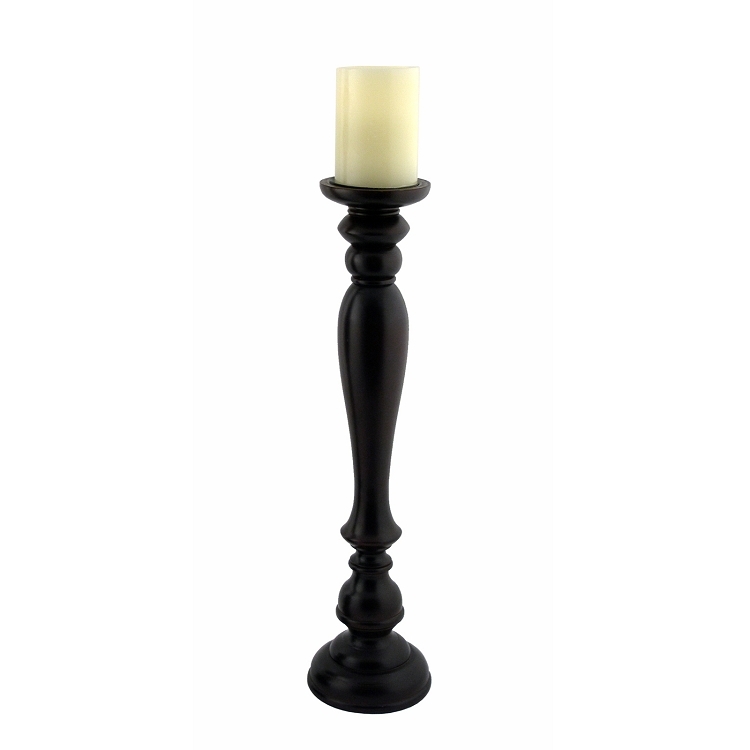 The Hartford is 5 1/2" in diameter x 31 1/8" tall and comes in a dark espresso finish. 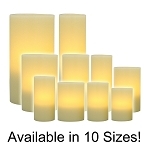 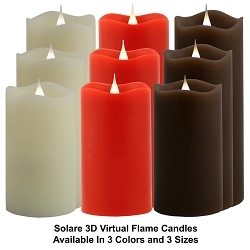 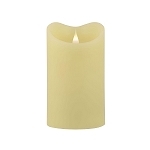 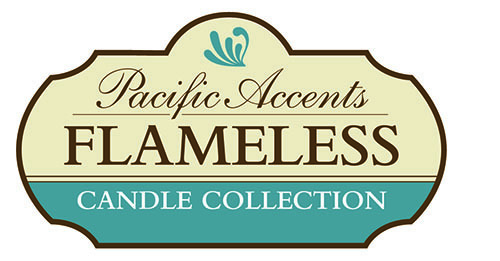 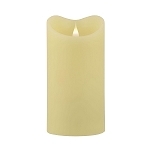 The included ivory wax flameless candle is 4" in diameter x 6" tall includes a daily 4 or 8 hour timer and provides up to 900 hours of glow time using 2 Alkaline C Batteries. 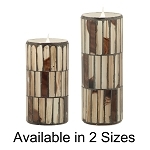 Please Note: Although 2 sizes are pictured, only the taller size is available.